Section Heads not only take on the responsibilities of camp counsellors, but they also supervise counsellors in their section as well as creatively assist in developing programming (section activities / theme days) for the section. Each section consists of 20-40 campers and 3-5 counsellors. Counsellors and Section Heads are staff members who work most closely with our campers and supervise them while in camp, at meals, during activities and each evening in their cabins. Being a Section Head requires many different personal and professional skills, which determine their best fit with an age group at camp. Staff responsible for young children require a high level of maturity and “parent-like” sensibilities allowing them to deal with such matters as homesickness at bedtime. Staff are required to facilitate one-on-one attention and are required to find creative solutions for keeping campers engaged and smiling. Section Heads who are responsible for older children require strong communication and discipline skills. 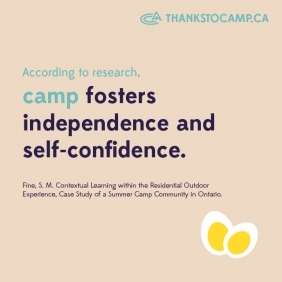 A strong understanding of the camper’s interests and preferred activities is crucial to ensuring the camper has a fun and productive time at camp. Section Head's close relationships with campers often require them to help provide personal support to individual campers, (bedwetting, brushing teeth, etc). Section Heads have long but rewarding work days with their campers. Therefore, Section Heads and counsellors have the largest impact on individual campers and their camp experience. To maintain a high standard of care the Section Head is responsible for teaching and enforcing the HOC Principles of Respect to campers including safety expectations of camp and general activities. Section Heads also ensure that both campers and staff in the group follow proper equipment use and safety regulations. Section Heads provide care to our campers that reflects the standards and guidelines of HOC's Child Care Practices and fundamental principles of Community, Leadership, Accountability, and Performance. As a part of the larger camp community, Section Heads are also expected to prepare, actively participate, and provide supervision during All-Camp Activities throughout the week. Provide supervision to campers while at camp during meals, activities, free time, evening and overnight. Lead and mentor a team of 3-5 staff. Provide clear goals and means of achievement for staff development. Provide one-on-one support to staff & campers. Work with Counselling Directors to provide three formal written evaluations of your staff team; at end of weeks 2, 4, and 6. Designate staff for various supervision tasks throughout the week (bus supervision, out-trips, activity assists, etc). Help plan and execute camp-wide activities with campers. Be responsible for and know the section's head count at all times, and ensure the transfer of the head count is made to all appropriate staff (hockey, bus, etc). Supervise campers on the bus once per week. Lead and instruct two activity classes daily (2 hours, or as required). Prepare weekly camper evaluations for two activity classes. Directly supervise single cabin group of 8-12 campers and cooperatively an entire section of 20-40 campers. Staff working a full eight week contract period are entitled to one weekend off (Friday after daily duties to Sunday program demonstrations). Time off weekly- Wednesday evening (in-house) & Saturday evening. Wages: Summer wages vary depending on age, qualifications and experience of applicants. Room and board are included. At least two summers of counselling experience. Must possess a genuine interest in working with children and leading people. Extensive experience teaching and communicating to children of varied ages in a children’s summer camp environment. Minimum of a Bronze Cross swimming qualification (NLS preferred). Current certificate of Emergency First Aid and CPR. Must be enthusiastic, energetic, creative, and spontaneous.